Bali is one of the best-known islands in the whole world. With this in mind you may think that it’s not worth diving anymore because of the crowds or ruined reefs. But this couldn’t be further from the truth! Diving around Bali is incredibly diverse and great for every level from total beginners to lifelong divers. To whet your appetite, here are our top 10 dive sites in Bali. Only around 15 minutes by boat from Lotus Bungalows Candidasa is Gili Tepekong. This is a small island with a reef slope, deep walls and a cave that you can dive through. Sometimes called ‘The Toilet” this site is definitely for advanced divers and even then should be approached with caution depending on the conditions. 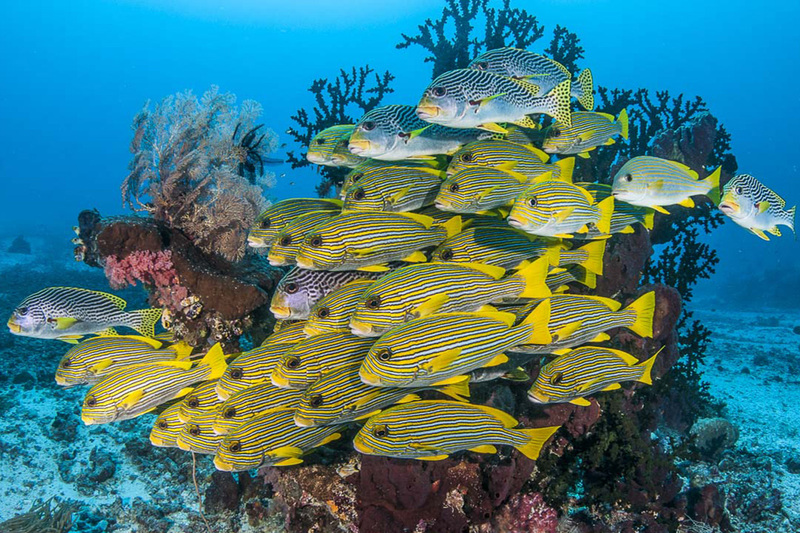 The best part of this site is the Canyon on the south-west of the site where schools of sweetlips, groupers, jacks and white tip reef sharks gather to feed. About an hour from Candidasa is Tulamben, and one of the most famous dive sites in Bali. The USAT Liberty was an American cargo ship torpedoes by a Japanese submarine in 1942. The ship was beached in Tulamben but was shaken into the water again during the eruption of Mount Agung in 1963. Since then it has been a playground for divers of all levels. It lays just 40 metres from the shore and between 8 and 20 metres deep. This ship turned reef is now home to a beautiful variety of reef fish like bumphead parrotfish, sweetlips, batfish and potato cod. You are also likely to run into a few sea turtles here. Also in the area of Tulamben is Seraya, a great collection of sites for excellent muck diving. The black sand here is soft and silty, perfect for nursing juvenile and micro critters. The diving here is quite shallow at around 10 metres so great for any level of diver. You’re likely to see ghost pipefish, plenty of nudibranchs, frogfish, a selection of shrimps, crabs, and if you’re lucky the famous mimic octopus. 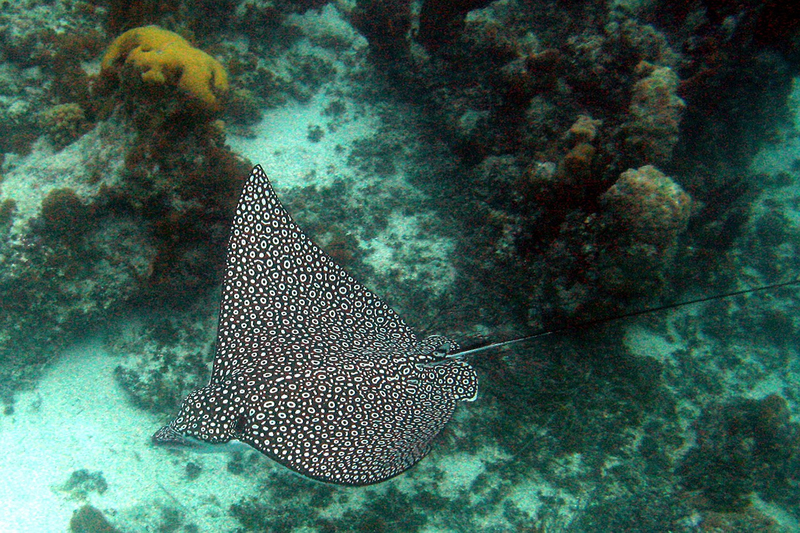 Many divers come to Bali looking for specific species, and manta rays are one of the most popular. From Candidasa, Gangga Divers will take you to Manta Point off the island of Nusa Penida. 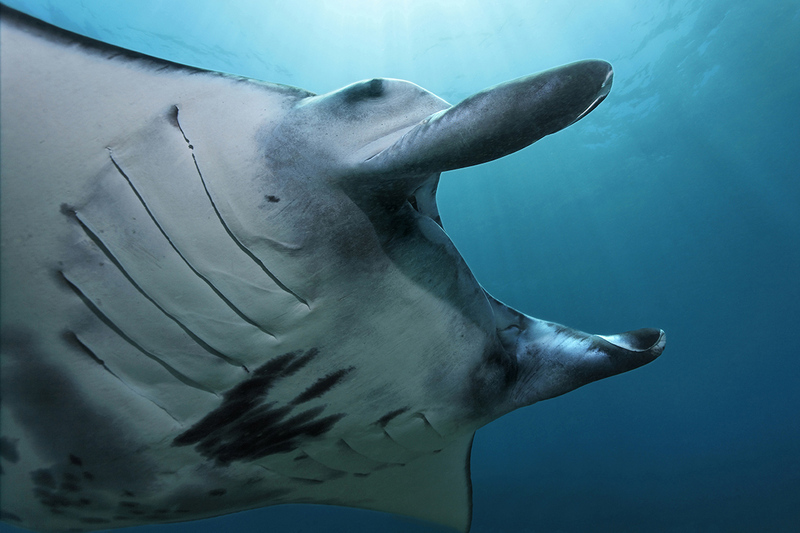 It’s possible to see mantas all year round, but the best season is March to June when they congregate here. Visibility can be up to 20 metres and the currents are mild, which makes it good for recently certified divers. Also off of Nusa Penida, Crystal Bay is a popular diving and snorkelling site. 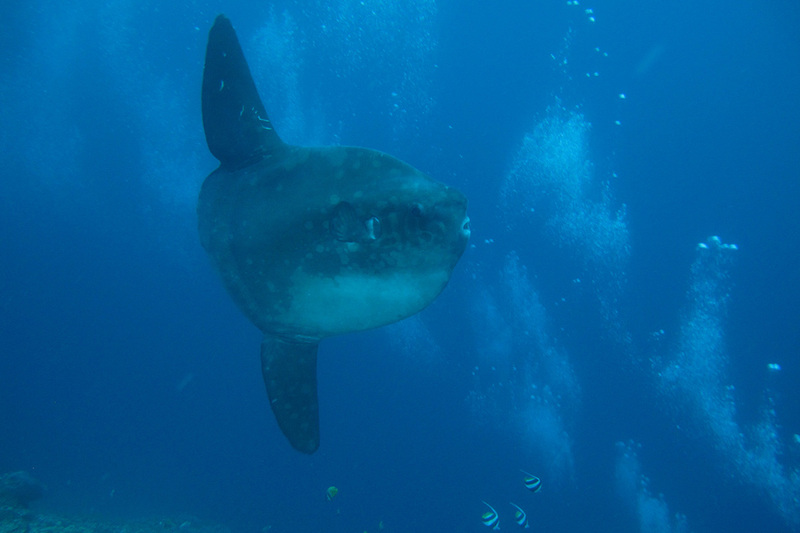 This is one of the best dive sites to see the famous mola-mola or oceanic sunfish and also manta rays. These are most often spotted in the middle of the year but the site is great any time of year. Hard corals start at around 5 metres and the white sands are covered with anemones and soft corals. You’re likely to come across angelfish, frogfish, sweetlips, Moorish idols and banded sea snakes. And be ready to see them in their full gorgeous colours because visibility is, as the name says, crystal clear. Along the same stretch in the Ceningan Channel is the Bat Cave, which is found along the deep wall at around 20 metres. Covered in hard corals, there are plenty of colourful lobsters living here. The water can be cooler at this site and you may need a slightly thicker wetsuit to keep warm. It’s worth it though because this cool water from the Indian Ocean brings with it reef sharks, and if you’re lucky, other sharks as well. 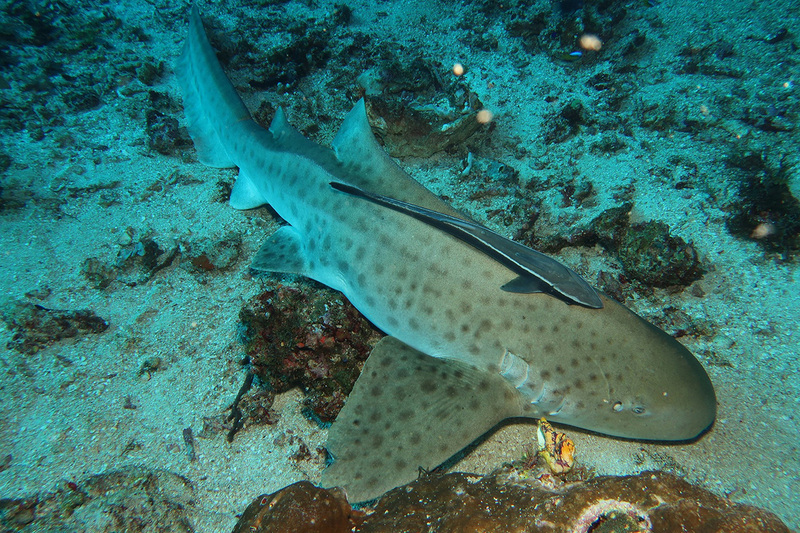 This could be your only chance to see a wobbegong, leopard or guitar shark while diving in Bali. Also known as Batu Tiga (3 rocks), this is an area with a number of slopes, overhangs and walls. It’s only around 15 minutes by boat from Candidasa, making it a popular dive with Gangga Divers at Lotus Bungalows. Gili Mimpang is famous for its excellent variety of hard and soft corals, but also for the likelihood of seeing sharks. 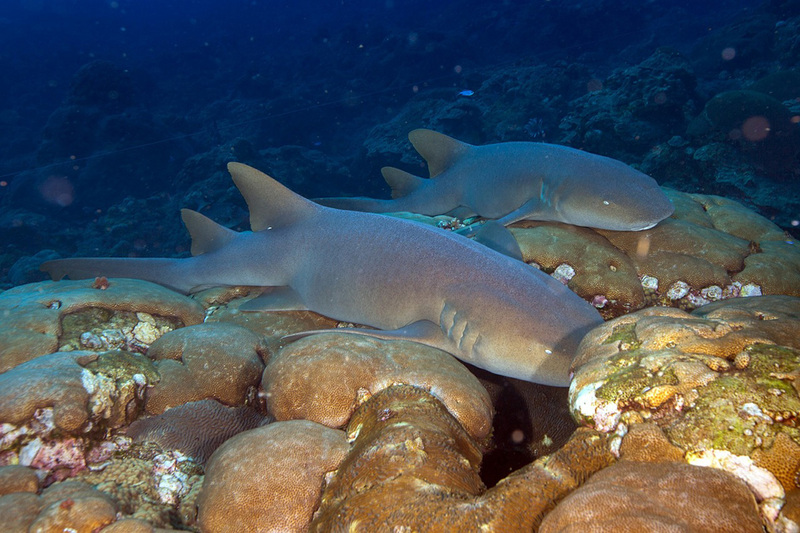 There is even a spot here called Shark Junction for the number of (mostly) white and black tip reef sharks found here. One thing to keep in mind is the possibility of strong currents. It’s not a great dive for beginners and even more experienced divers should take care around the new moon. A few minutes down the road from Candidasa is Padang Bai. Best known as the place to catch the fast boat or ferry to Lombok and the Gili Islands, Padang Bai is often overlooked for diving. Blue Lagoon is a great site for beginners thanks to its easy accessibility, shallow corals, and sheltered location. 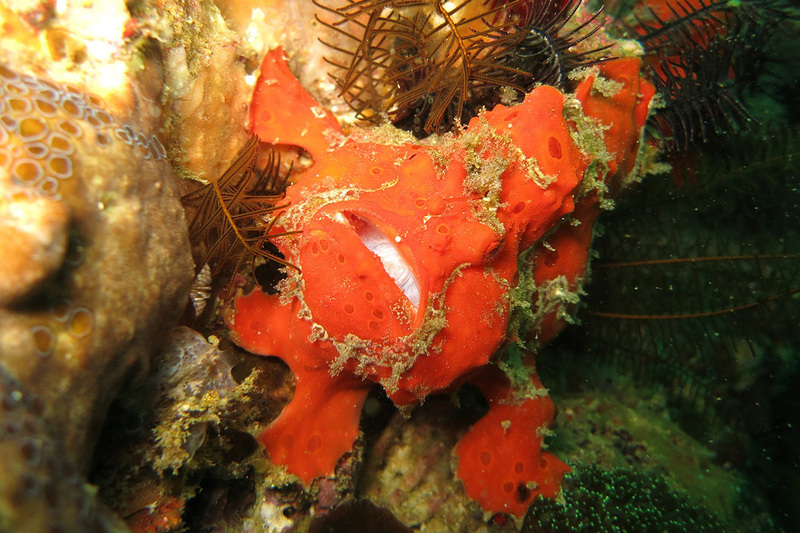 You can expect to see plenty of colourful marine life here, including frogfish, stonefish, stargazers, moray eels, and an amazing variety of nudibranchs. The visibility is excellent and the water warm. 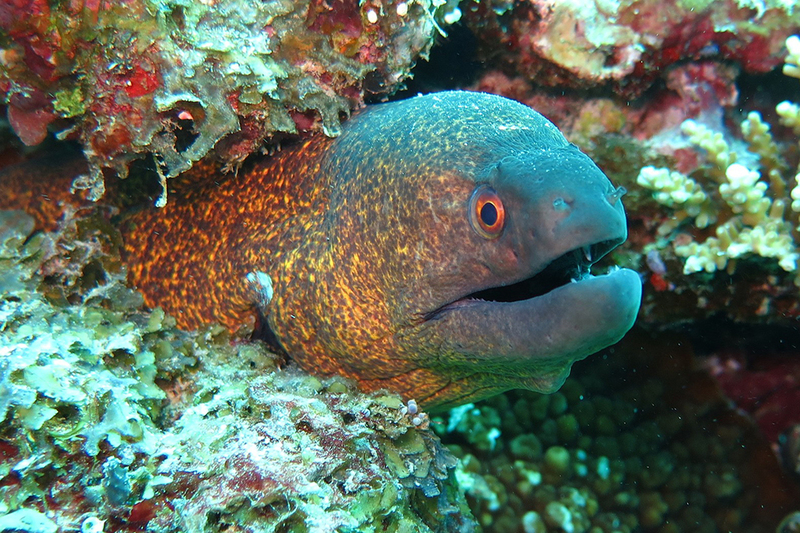 You’ll realize not every amazing dive has to be hard to get to when you dive at Blue Lagoon. On the other side of the island to the northwest is another place you might want to check out for some spectacular diving. The area between Pemuteran and the island of Menjangan is very quiet and has a number of easily accessible dive sites. Temple Garden is a favourite site for its underwater photo-friendly look and also the numerous corals and marine species that have taken over the statues that were sunk there in 2005. It’s quite a deep dive at 30 metres, so you have to be PADI open-water diver certified to dive here. Also in the Pemuteran area, Napoleon Reef is a gently sloping site from 10-35 metres. This makes is a great dive for beginners. It takes less than 10 minutes by boat to get to the reef and in the shallows you’ll find very pretty coral garden and plenty of large Gorgonian fans. There are lots of colourful reef fish here and also some bigger animals like eagle rays and bumphead parrotfish. At the deeper end of the site rays and cuttlefish are often seen. 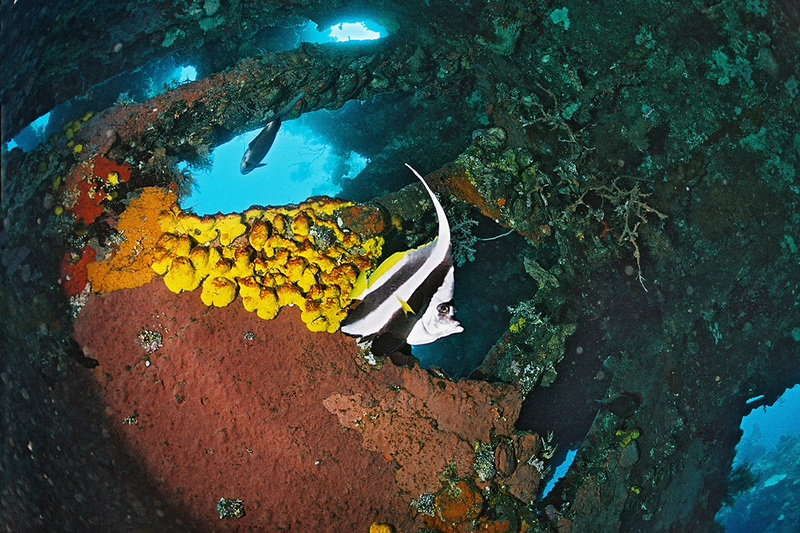 There are so many more dive sites we could add to this blog, but 10 will have to do for now. The variety, health of the coral, and colour you’ll see underwater in Bali is astounding. If you have any questions at all about diving in Bali, or are maybe interested in getting your PADI dive certification, leave us a comment below.